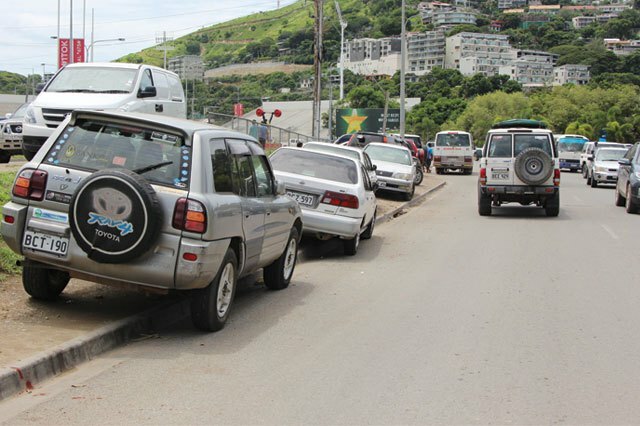 Vehicles parked Illegally at the “Dead Men’s Corner” in Konedobu, Port Moresby, will be removed from today, Transport Department Enforcement manager Jacob Krom says. “Cars parked along the ANZ area facing the Freeway Highway will be towed away, though the department partnership with the National Capital District Commission,” Krom said. 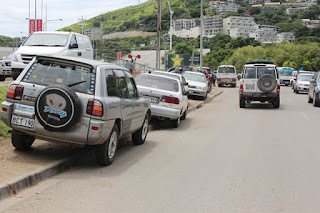 “A K60 spot-fine by the Transport Authority will be issued to the vehicle owner and if he or she does not comply with it, the vehicle will be towed to the NCD Depot Station at Boroko and the owner will have pay a fine of K500. “This operation will carried out by the Department of Transport in partnership with the National Capital District Commission, police, the Central authority and the Chamber of Commerce to crack down on parking infringements. “Double parking is illegal. When you park this way, you prevent drivers from leaving their parking spaces and stall the flow of traffic. “We will be starting in Downtown and followed by Boroko and other parts of the city. “We are discouraging people from parking illegally for safety reasons because container trucks and heavy machinery vehicle travel down the highway and can be dangerous. “Building companies should be partly held responsible because depending on how many occupants occupying the building they should have provided the parking space as well. It should have been well vested with the construction company. “Site assessment and traffic assessment are very important before a building is put in place. Now it’s causing the transport authority to take legal action by towing vehicles and impounding them. “The Transport Authority Act has passed on last week but we will be using the old motor vehicle traffic regulations.